I’ve been putting some time in on my MG TD restoration this fall. The front suspension is mostly dismantled as well as the brake system as of late December 2016. Each of the 4 screws and bolts that held the right front brake backing plate on the suspension were different. 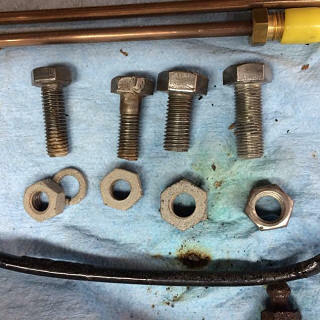 Only one of the four had a lock washer. 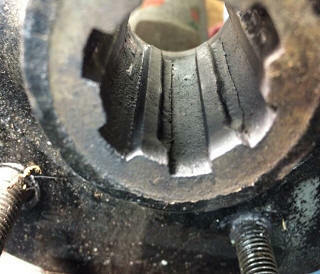 Several of the front shock absorber bolts were not fully turned in. 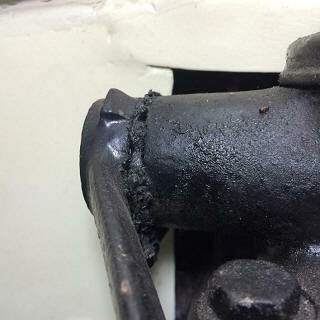 Also, the seals of the shock absorbers were deteriorated and starting to be expelled from their seats. I sent these to Peter Caldwell of World Wide Auto Parts for rebuilding. The bodies of the front Andrex shock absorbers were installed upside down. I’ve found wooden discs for these shock absorbers on EBay and will attempt to rebuild them myself. 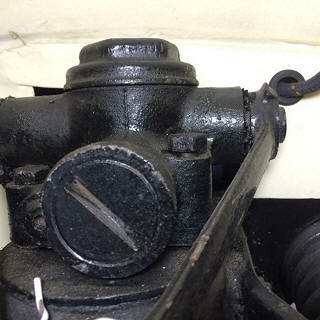 The seals of the tie rod ends were missing as well as the steering rack boots. 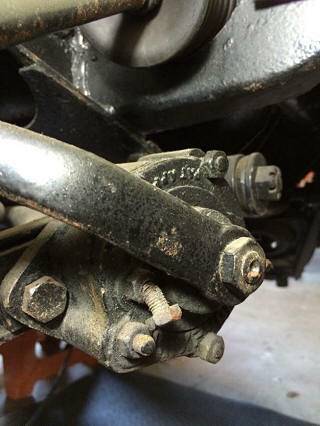 I decided to replace the tie rod ends since I’ll be removing them as I replace the steering rack boots. 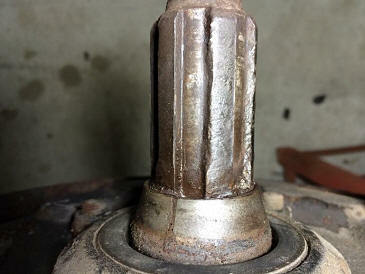 The splines of the right rear brake hub were heavily worn as well as the axle splines. A friend in Minnesota has sent me nice replacements. 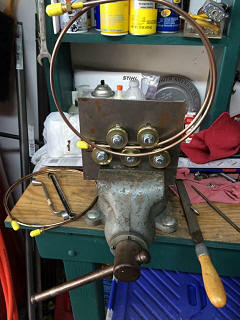 As for the brakes, I made up a tube straightener so I could take the curves out of the brake tube. I made it out of some piece of sheet steel and some sliding door rollers. It cost less than $20 and did a very good job straightening the tubes. 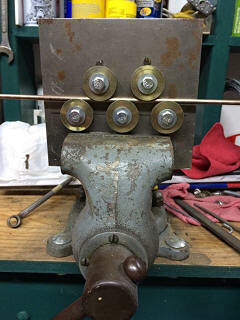 I’ll lend it to any club member who wants to straighten their brake tubing.